The 2018 NFL Draft is all wrapped us as the 32 teams selected their share of 256 college players in what was the 83rd annual meeting held on this occasion at the AT&T Stadium in Arlington, Texas. The Pittsburgh Steelers added seven players to their ranks, all of which will be looking to impress during the summer camp to earn a place on the roster when the new regular season begins again in September as they look to bounce back from their playoff defeat to the Jaguars back in January. This year it was the first time in 19 years that five quarterbacks were chosen in the first round and only the third time in the history of the draft that so many quarterbacks have gone before the second round of selection. Here is a look at who the Steelers selected and who will be the most pleased about the way the draft went this year. One of the biggest needs for the Steelers going into the new season is for a safety and they wasted no time during the 2018 Draft as they selected Terrell Edmunds from Virginia Tech with their first round pick. The 21-year-old looked to be one of the standout defensive players on the board, therefore, he could make an immediate impact with the team where he will be working with the defensive staff, who were all retained from 2017. Edmunds was one of two safeties to go during the first round out of the 32 selections, with Derwin Jones being the other player from that position to be added by the Los Angeles Rams with the 17th overall pick. During his college career, Edmunds finished with 196 tackles, six interceptions and 1.5 sacks across a three-year period. He impressed during the NFL Combine with some smart figures, including 4.47 seconds in the 40-yard dash and a vertical jump of 41.5 inches. In order to try and win the AFC Championship and then the Super Bowl next season, the Steelers are going to need to play much better of the defense to take the pressure off Big Ben and the offense. Mike Tomlin will be hoping Edmunds and free-signing Jon Bostic can play their part in helping them reduce the number of points they concede later this year. 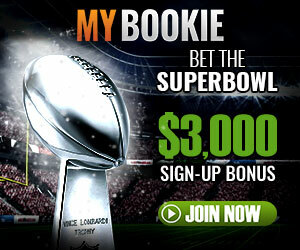 As on April 29, they are 9/1 with Betway to lift the Vince Lombardi Trophy next February. The Cleveland Browns once again had the honour of choosing the number-one overall pick in the NFL Draft and it was clear they before the even did so that they were going to choose a quarterback. There were lots of rumours that they had their eye on 2017 Heisman Trophy winner Baker Mayfield and that proved to be the case as he was selected over Sam Darnold. During his four year college career, Mayfield recorded 129 touchdowns and threw for 14,320 yards. Last year he had 41 touchdowns to his name which led to him receiving the biggest award in college football. The Browns have struggled to find a franchise quarterback for a number of years but they will be hoping Mayfield is the answer to all their problems. With the addition of Jarvis Landry from the Miami Dolphins in the off-season and Corey Coleman in the ranks, Mayfield may be able to get off to a flying start just like Deshaun Watson did last year for the Houston Texans in his debut campaign. Cleveland also acquired a first-round pick from Houston this year and they opted to take cornerback Denzel Ward with that selection. The Ohio State man was the highest defensive play to go in the 2018 Draft after making the All-American and All-Big Ten lists in 2017. In the second round of the Draft in Arlington, the Browns also had the 33rd and 35th overall selections in which they acquired guard Austin Corbett and running back Nick Chubb, respectively. Although Browns fans will be reluctant to get too excited about the new season ahead, it looks as though they have given themselves a brilliant opportunity to develop some talented young players who could help them deliver success in the future. The open round of fixtures for the 2018 regular season begins on September 6 when the Super Bowl champions Philadelphia Eagles take on Atlanta Falcons.